Recently, I was at the Picasso Museum in Barcelona and my mind couldn’t help but wander off to football. This moment came when I was inspecting Pablo Picasso’s Las Meninas collection. In 1957, Picasso painted 58 different variations of Diego Velázquez’s classic portrait which had been completed 300 years earlier. Velázquez’s original is a traditional portrait of several maids of honour. Picasso’s reinterpretation couldn’t be more different from the original, varying certain elements, using the same characters with aesthetically different forms while maintaining the original composition. Each of Picasso’s paintings diverged into a new version of Velázquez’s masterpiece, some looking like one another and others bearing no resemblance to the rest of the collection. Some were simplistic, utilising basic shapes and colours, whereas others used intricate lines and forms to portray Las Meninas figures. Simply put, Diego Velázquez’s masterpiece, which hangs in El Prado Museum in Madrid, had been Picasso-fied. As I stood in the centre of the exhibition attempting to survey all of the Meninas variations, I couldn’t help but wonder, isn’t this what art is? Taking an inspiration and applying our own experience, our own touch, and modifying it to create something new? In some cases the result bears no resemblance to the initial inspiration, and some products are only slightly varied. In football, a manager’s coaching style is an outcome of a previous inspiration in the form of a former coach modified with their own personality to give fruit to a new masterpiece. As we know, all managers have different approaches to reaching the ultimate goal of winning. But before we go any further, we must clarify some language. With the inclusion of so many foreign managers into the Premier League this year, many pundits and fans alike have been comparing and contrasting their styles, methods, game models, personalities and results. The problem is that when some people discuss methods, others are discussing styles, and when some talk about formations, others are talking about the personnel. In Marti Perarnau’s book Pep Confidential, where he is allowed a rare look into Pep Guardiola’s first season at Bayern Munich, Perarnau continuously brings up how important it is for Guardiola to teach his players his language so that they are able to have a greater understanding of his demands. Guardiola isn’t referring to Spanish or Catalan, though – he is making a reference to his football language. He knows that in order to communicate his message, his players must understand his football vocabulary. A coach’s style: When we talk about a coach’s game style, we’re talking about the type of game that the coach aspires to achieve. For example, direct, possession, combinative, high pressure or low pressure, just to name a few. The style is the coach’s personal brand, what they always strive for; their team’s DNA. It doesn’t matter who it is, every manager has a style. The father coaching his son’s under-8 team, the college coach from New Jersey, the manager at a lowly third division Spanish club, Manchester United’s José Mourinho, or the fiery Italian, Antonio Conte. They all have a story to tell and they have chosen football as their tool. A manager takes bits and pieces from their past to create what they consider the best approach to football. As players, we learn from our managers, team-mate and opponents. We use these experiences as the colours that will aide us in painting our masterpiece. Without our past, our easels would be empty. 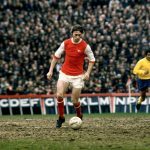 Take Arsène Wenger, whose style has always been defined as possession-based and has been an advocate of ‘attractive’ football since he began his managerial career in the 1980s. Although never having played for Rinus Michels, credited for the invention of Total Football, he became of huge fan of Michels’ Ajax and consequently adopted a similar style as a manager. 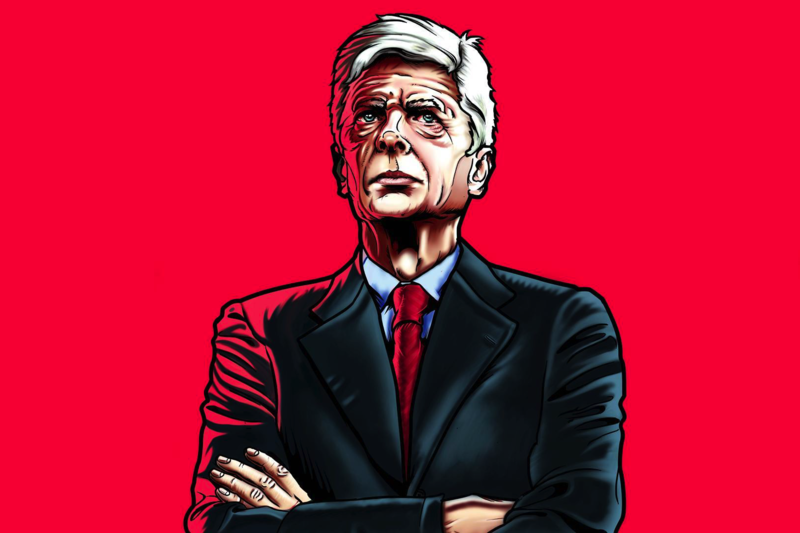 Wenger is known as Le Professeur, to reflect his studious persona. This can be seen in his methodical approach in his training sessions, which are perfectly timed, grouped and staged, and include all aspects of football. The Frenchman continually encourages creativity in his teams through training methodology which emphasises the decision-making process in players. On the other hand, José Mourinho has had the type of trajectory into the elite managerial world that all young coaches would be envious of. He received his big break when Sir Bobby Robson, then Sporting CP boss, hired him as a translator. Mourinho never played at the highest level, which is often seen as a weakness in a world-class trainer. Nevertheless, he has gone on to become one of the most successful managers in history. Still, everywhere he goes, it seems as though he has to prove himself worthy of his success with his out of this world personality. 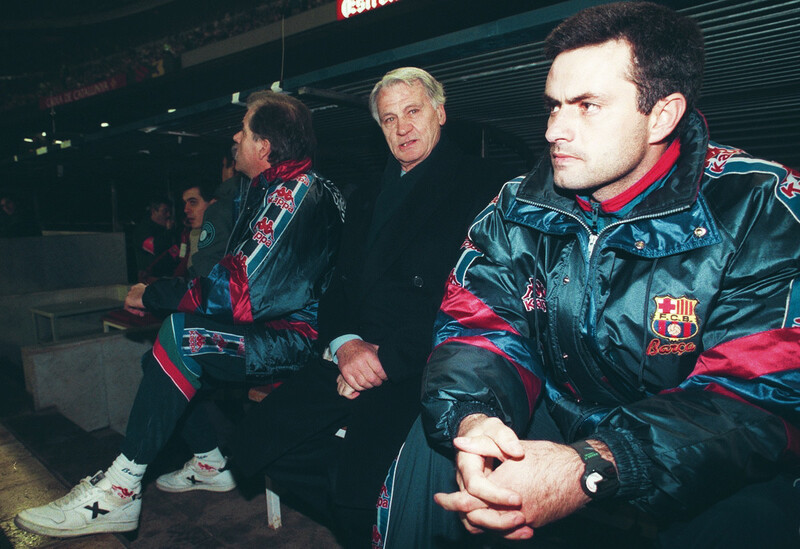 Mourinho’s win-at-all-cost mentality might also be traced back to his mentor, Sir Bobby, who believed immediate results are crucial to a manager. He was quoted saying: “People want success. It’s like coffee, they want it instant.” Mourinho has definitely taken this attitude with him, and it’s evident in his defensive, counter-attacking, results-driven tactics. 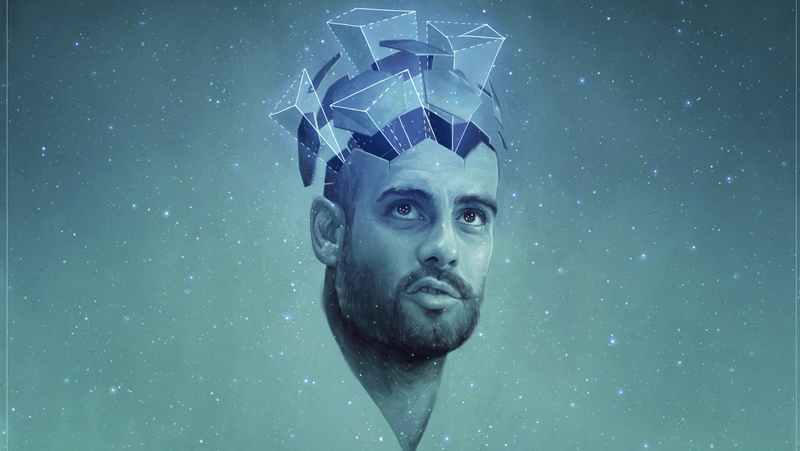 Guardiola’s style can also be traced back and has been well documented by all his followers. It’s no secret that Dutch legend Johan Cruyff had a huge impact on Guardiol as a player, and luckily for us, as a manager too. In Cruyff’s autobiography, he depicts a young Guardiola as an eager student with hundreds of questions about football and how Cruyff saw it. He speaks about the lengthy conversations between the two of them discussing every last detail from their training sessions or matches during their time together at Barcelona. Reading Cruyff’s book, it’s evident where Guardiola’s obsession with attractive football came from, always bearing in mind the fan who attends matches must be entertained. Cruyff, and now Guardiola, believed that football is in the business of entertainment and if the fan pays to watch matches, they should leave the match satisfied. He understood that results appease fans, but for him that wasn’t enough; they should be captivated and enthralled, and the manager’s job was to provide such enjoyment. Guardiola has been delighting fans all over the world with his teams’ play in Barcelona, Munich and currently in Manchester. Yet for some, the delight isn’t enough. Guardiola has been on the end of criticism since he began his career back in 2008. Things didn’t start well when he lost his first managerial match to Numancia and then went on to draw against Racing Santander. Even though fans could see the style Guardiola was trying to manufacture, in an online poll at the time, 86 percent of Culés would have preferred the hiring of the more renowned Mourinho. They simply didn’t have faith in Guardiola’s philosophy. Of course, Guardiola went on to win pretty much everything at Barcelona, which is always an effective strategy to silence the critics. However, the criticism arose quick and fierce upon his arrival in Germany. He was heavily criticised for not adopting the German football philosophy of purposeful counter-attacks, direct play and physical aerial battles. Critics found his Bayern Munich to play boring and slow, they claimed his possession-based approach was not the German way. In the end, he left Munich with a polarised audience. Now we are seeing the same points of view from critics in England, but more ferociously. Manchester City began the season marvellously with a run of 10 wins, only to hit a tough six-game losing streak to the delight of Premier League critics. They point to the lack of adaptation by the Catalan to the English game. These faultfinders see his struggles as a validation of their league, marking his demise a result of the difficulty of the Premier League. There have been countless critiques geared towards Guardiola, ranging from neglecting defensive principles, using too many formations and line-ups and failing to understand the English game. The list could go on and on. However, I’d like to focus on one particular, recurring critique: his arrogance. English pundits and journalists continuously accuse Guardiola of being arrogant and stubborn because he chooses not to play the English way. He chooses to play attractive rather than effective. He’d rather build up play from the back than playing directly over the top. He prefers goalkeepers who can play with their feet, which consequently led to the decision of hiring Claudio Bravo over Joe Hart. He believes in a philosophical approach instead of a punishing one. It boils down to a clash of polar opposite points of view. They believe his methods would never produce results on a ‘cold rainy night in Stoke’. They want their league to change the man and, due to the fact that he is unwilling to change, it apparently signifies arrogance. He is football’s wild horse and they wish nothing more than to have the Premier League be the one that tamed him, except the bullheaded Catalan simply won’t break. Despite the losses piling on, he continues to hold fast to his football. They call this arrogance, but why? Maintaining your coaching style in the face of defeat is not arrogant, it’s admirable. It demonstrates respect for the beauty of the game. Short-term results skew our perception of success. Each match is a chance to modify the game model, not the style. The coaching style should never and could never be modified. It’s the DNA that courses through the veins of our teams. It’s the personification of our past experiences, our strengths and weaknesses, our thoughts and views. It’s the expression of our art, our subjective approach. It’s as impossible to change as our personality. Not only is it unrealistic to expect a manager to change their style but it’s counterproductive to the growth of football. The evolution of tactics over the course of its history is a study in itself but I’d like to point out how much our sport and how it is played has evolved. In its early days, football was played with formations such as 2-2-6. Later on we would see formations like 1-3-3-3, 4-2-4 and 3-2-1-4. Nowadays, any manager would be laughed out of stadiums for playing in this fashion. That said, this demonstrates that football is evolving and developing through creative, artistic, internal processes which require objective inputs from the demands of the today’s game to produce a new approach. Just like any natural system, football morphs into a new being through evolution. However, to accomplish this we must be open to new ideas and think differently. Only when we have a melting pot of coaching philosophies and styles, like our current Premier League, will a new, superior football emerge. As I reminisce about my experience in the Picasso Museum in Barcelona, I can’t help but recall remarks and comments about his Las Meninas collection. As people walked around the large exhibition room examining each rendition of the original painting, I heard things like “This one is definitely my favourite”, “I like this one but have you seen this one?”, or “I prefer that one in the corner.” I didn’t hear a single observer proclaim that one of the paintings was wrong or incorrect. In art there is no right or wrong, there are just opinions. This is how we must start regarding football, liberated from the correct or incorrect, appreciating the dance, the expression, the beauty. We must commend different perspectives, applaud the bravery in trying something new, and be in awe of the journey. A manager should never be ostracised for being different – especially when they’re a winner. They should never have to alter their coaching style. I find it difficult to discuss football without returning to the Spanish football philosopher, Juanma Lillo. He said: “What enriches you is the game. The fulfillment we all strive to find comes from the process, not the score. It’s the activity that moves you, not the end result.” I can’t seem to find a better quote which exemplifies how I see football.